Warning: This book contains graphic and explicit (and hot!) M/M sexual scenes and situations and includes themes of sexual dominance and submission. 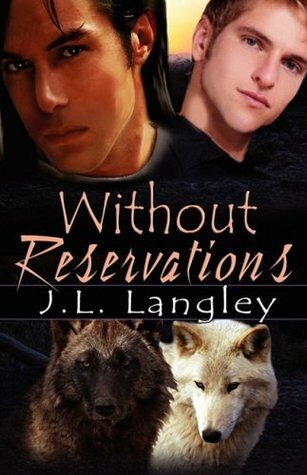 A case of mistaken identity stripped Remington Lassiter of his humanity when he was viciously attacked and almost killed by a rogue werewolf in Without Reservations: With or Without, Book 1. Now he's trying to deal with the impulses of his new wolf nature, and it isn't helping his peace of mind that every time he gets anywhere around private investigator Jake Romero, Remi can't control his arousal. Finding out Jake is the one who saved his life by turning him werewolf and that Jake is his mate answers many of Remi's questions, but his little brother Sterling shows up, bruised and scared, and gives Remi a terrifying reminder of the consequences of being true to himself - and who would pay the most brutally for it. Remi's haunted by a recurring dream he doesn't fully understand, full of yearning for his mate, and desperately trying to save his little brother from their father. Being wolf has only complicated a difficult, tenuous existence. One that his father seems intent on ending. With a much smoother narrative, more realistic dialogue, and a deeper, more complex story, Langley has improved greatly on her With or Without series in this second installment. Remi and Jake are good together, and Remi's brother Sterling is utterly charming (high point of the book for me). 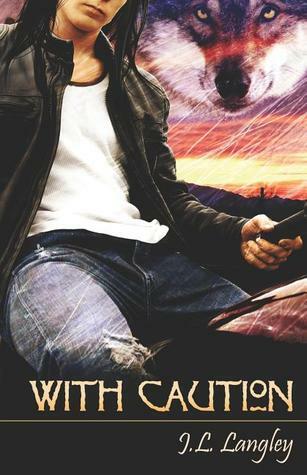 Jake's partner Rhys and his friends are all strong secondary and ancillary characters, and the threat of Remi's father is far more intense and well developed than the suspense aspects of the previous book. Remi's past is brutal and heartbreaking, and the effects on his personality and character are realistic and traumatic. 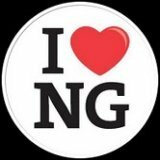 All in all the characters are likable and the story is sound. I did have a few issues, though. Remi and Jake were introduced in the previous book and while Jake was at most an ancillary character, Remi was more of a secondary character and was given more story time. The Remi of that book is virtually unrecognizable in this one, though. Some of his less pleasant actions and reactions in that one are explained, but there isn't enough to warrant the complete shift of personality to a loving, giving person who's first and last concern is for his brother. I liked him a lot more, don't get me wrong, but the inconsistency in his character was a problem for me. I also had a few problems with how Jake and Remi, and by extension, their friends and pack, dealt with the very serious threat of Remi's father. Not to mention my utter disgust over Remi's mother's willingness to stay in such a violently abusive relationship. It's tragically realistic - happens every day - but it's not something that makes for a pleasant read. And frankly, with so many werewolves around, I just couldn't understand why Remi's father didn't "accidentally" end up as dead as he deserved before the situation degenerated to the degree it did. Especially with the lives of Sterling and their mom on the line. It's not like precedent hadn't been set in the first book to allow for killing in self defense. As I've indicated in other reviews, my personal preferences for M/M romantic and sexual relationships trends away from dom/sub behavior and relationships, and that is theme in the sexual relationship between Jake and Remi. On top of that, Remi's willing submission further created an inconsistency in his personality between this book and the first. On a more pleasing note, Remi wasn't effeminate, nor as generally submissive in nature as Keaton was in the first book, even with his Omega status in the pack, so that helped. The surrounding story and the appeal of the characters allowed me to still enjoy the book, even with those issues. I was pleased to visit J.L. Langley's site and find out that the next book in the With or Without series is complete and with Langley's editor. If things go as indicated on her site, that book, With Abandon, will be available in December of this year. I'm looking forward to it, but even more so Sterling and Rhys' book, Without Fear, which is in production but on hold at the moment. There's just something about Langley's characters and the world that she's created here for this series that are appealing to me, even with the issues I had with this one and the last. More books in the series is good news.